Second year students of New Testament Greek need to review grammatical terminology and categories of syntax. Although reference Grammars have been published for researchers, they are cumbersome for this purpose. This handbook is written for these students. 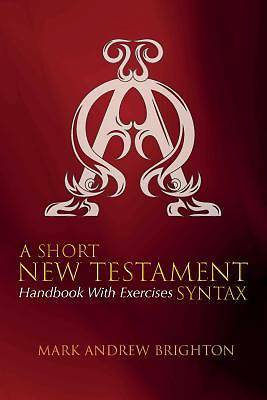 It provides concise descriptions for the major categories of New Testament syntax and is accompanied by a dictionary of grammatical terms and translation exercises. Mark Andrew Brighton is a Professor of Biblical Languages and Literature at Concordia University in Irvine, California. He is the author of The Sicarii in Josephus's Judean War (2009).